This midi skirt is made from navy-blue fine woven cotton heringbone in a flattering A-line silhouette and a high-rise waist. 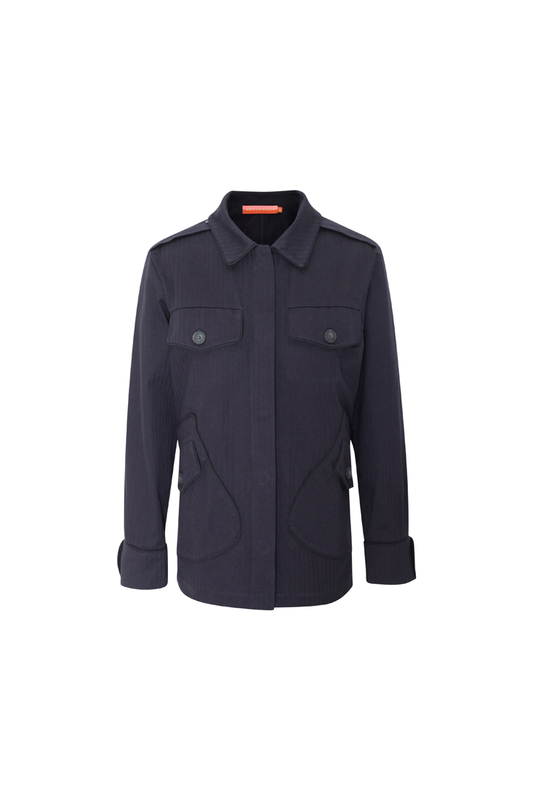 It has stitched on pockets and snap fastenings through the front. Pair it with your favorite shirt or wear it with our Paloma jacket in matching fabric for a complete look. 100% cotton. Machine wash 30 C degrees. Model picture for fit only.